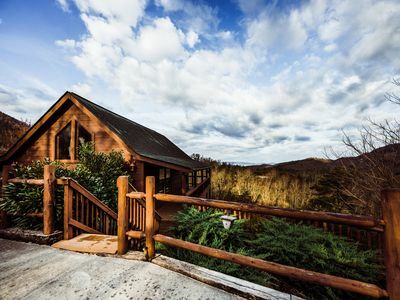 Our Anniversary Cabin is an authentic timber/log cabin located near the Smoky Mountains National Park in the mountains of East Tennessee between Pigeon Forge and Gatlinburg. 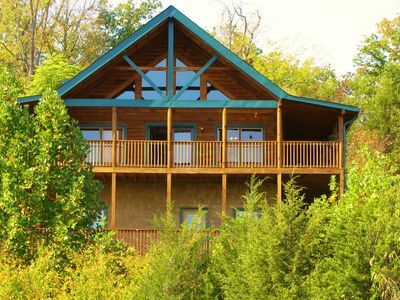 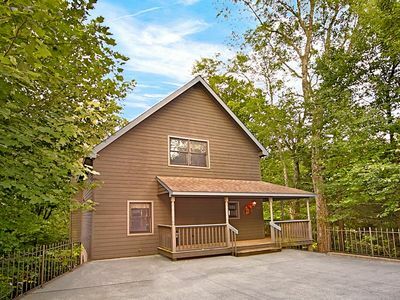 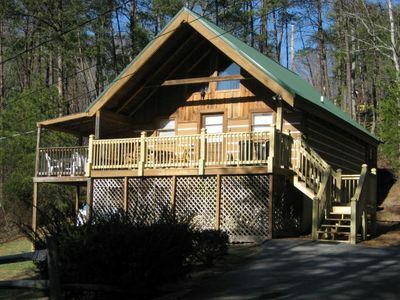 This well equipped two bedroom, two bath cabin has everything you need for a great stay. 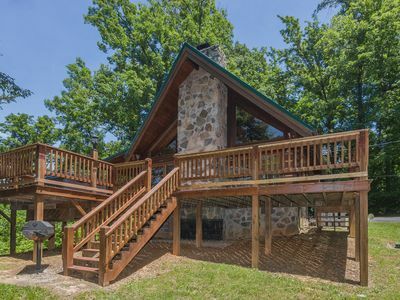 Very large wrap around deck with spectacular views and privacy. 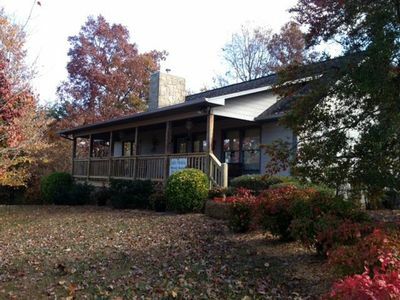 Very large concrete parking area and driveway that can accommodate several cars. 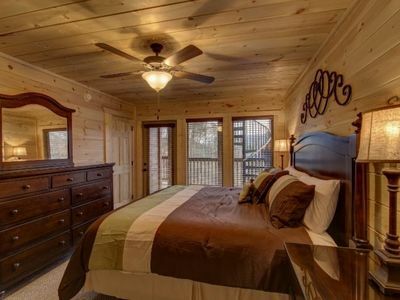 The cabin has wi fi internet and cable TV with approximately 100 channels. 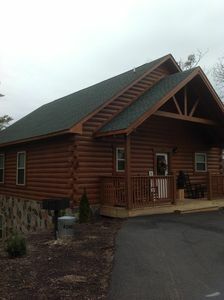 The cabin has books, puzzles, games and dozens of DVD's and videos for children. 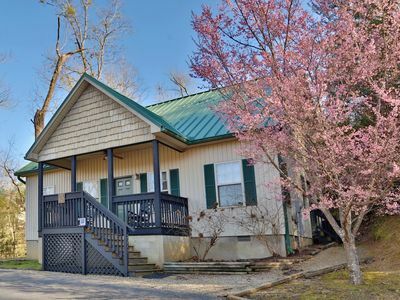 Kitchen is fully equipped with Fridge, stove, microwave, Keurig coffee maker and a Mr. Coffee maker, toaster, pots/pans and all the dishes and utensils you would need. 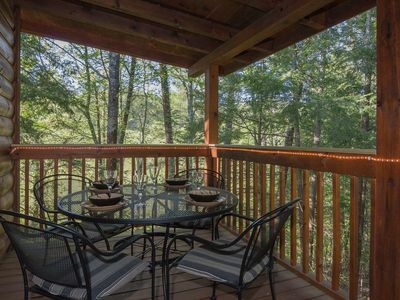 Back Deck has charcoal grill and fire pit. 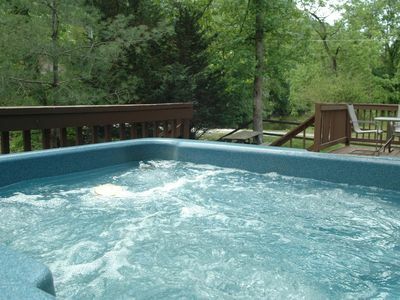 Large four or five person Hot Tub on back deck for privacy. 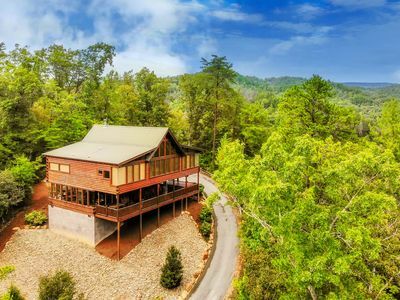 4 BEDROOM, 4 BATH CHALET, NEAR DOLLYWOOD! 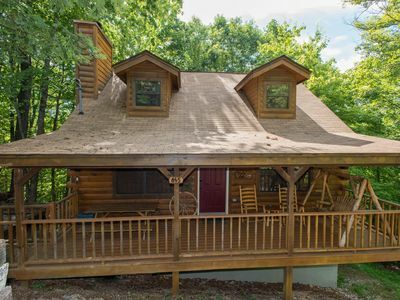 BEARADISE! 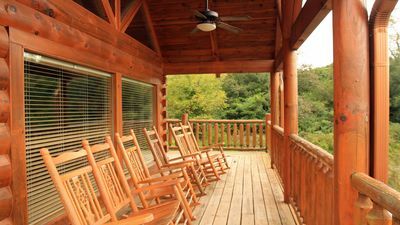 TRUE CABIN were you go to Get Away for some Rest and Relaxation!!! 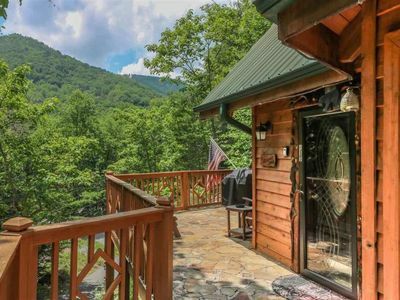 Beautiful Smoky Mountain Vacation Home!! 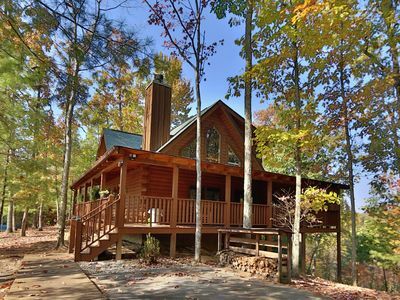 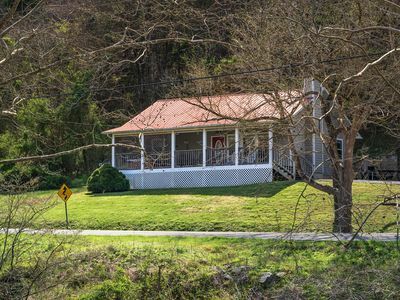 Secluded with Great Mountain Views, Hot Tub, Pool Table! 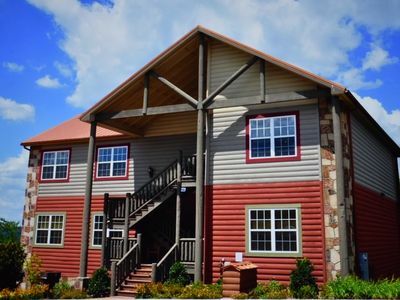 1 BR Condo in Pigeon Forge Tennessee near Dollywood and the Great Smoky Mountain National Park! 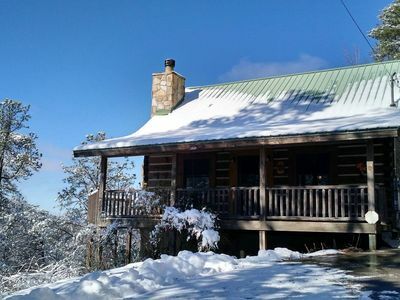 INSANE VIEWS, SECLUDED, and SO MUCH TO DO! 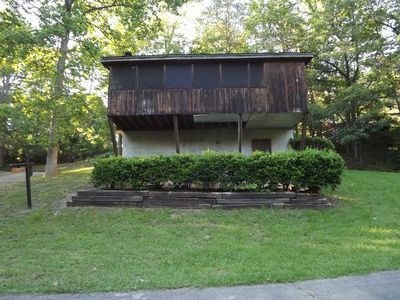 This charming all one level, 2-bedroom 2-bathroom chalet that will sleep 6, and has river view.